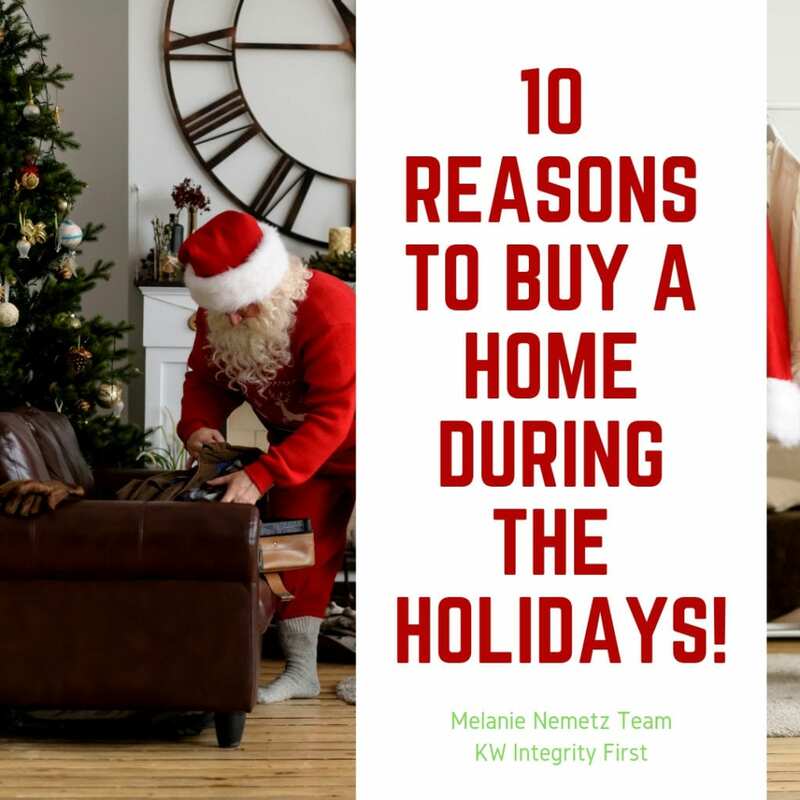 10 Reasons to Buy a Home During the Holidays! Less Competition- A reason that sellers want to sell is the same reason that buyers should buy in December! Fewer buyers on the market means less competition when it comes time to make an offer, and a better shot of getting that offer accepted. Sellers are motivated- Sellers don’t enjoy moving over the holidays any more than buyers do, so if their home is on the market, they are clearly motivated (or desperate) to sell! Combine this with less competition, and a buyer is in a great position for negotiating the deal. Interest rates are low- Interest rates have gone up 3 times in 2018 and are predicted to rise 4 more times in 2019, making now the best time to lock in a still historically low rate and save some money! Quick & smooth closings- We typically have smooth closings, however, holidays means everyone is on board to make the process as painless as possible and prior to year’s end. Lower Prices- Low inventory the rest of the year tends to make prices rise; however, December historically has lower prices due in part to the previous reasons listed. Related Sales- Everything is on sale during December, so you can save money on furniture, appliances and other items you’ll need for your new home! Taxes- Depending on your situation, you may see a tax break due to the sale occurring in the current year vs next year! Builder Incentives- If you are looking into a new construction community, builders often offer amazing incentives to reach their year-end goals. Its not unheard of to have multiple incentives stacked. Seller Concessions- Motivated sellers means that they are often willing to negotiate and pay for a portion of your closing costs or buy a 1 year home warranty for you. Homes are decorated for the holidays- Last but not least, homes just look amazing in December! And you can really get a feel for a home & neighborhood by how its decked out and dressed up. Ready to get started? Contact us to set up your free consultation and go over your options for buying a home in the greater Phoenix, Arizona area. We are happy to help!